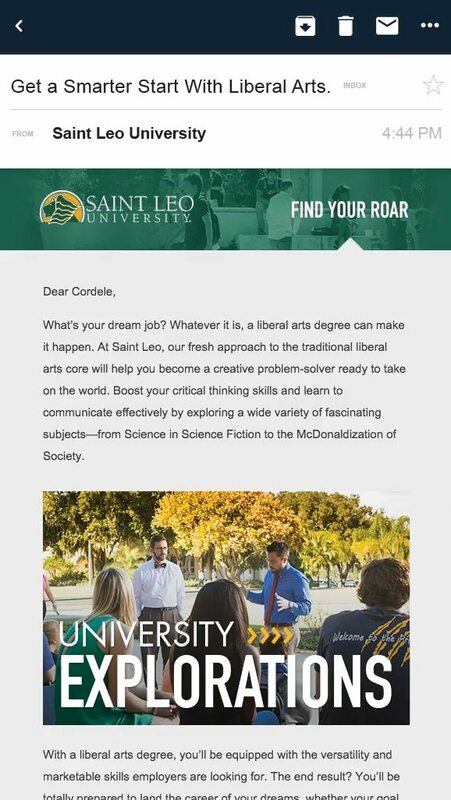 Saint Leo is an independent, Catholic liberal-arts college founded in 1889. 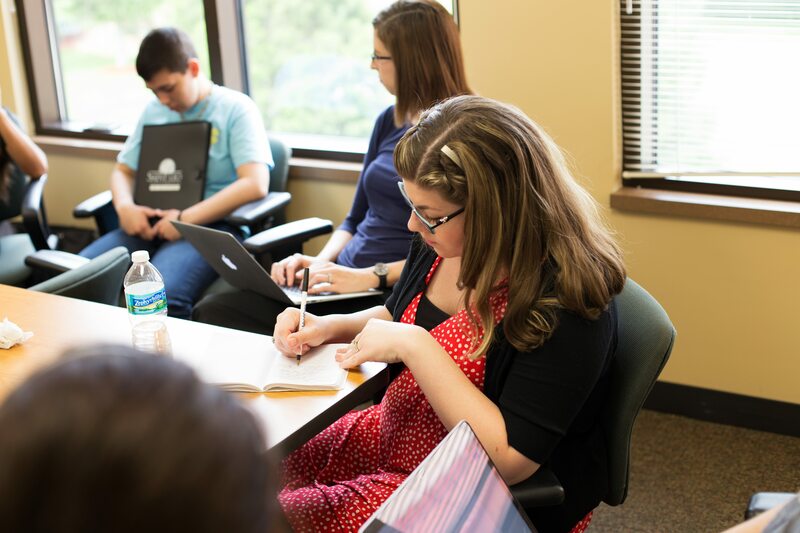 Prevailing notions about rural campuses and “traditional” private schools were stifling the University’s desired image of affordability, student diversity and modern campus culture. 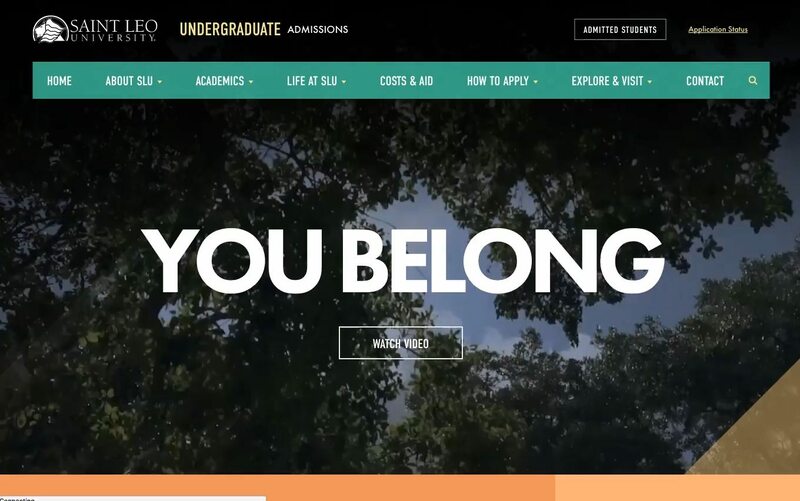 Thankfully, we were about to set the record straight with a personality-packed digital marketing campaign—one that boosted prospective student inquiries by 37 percent. 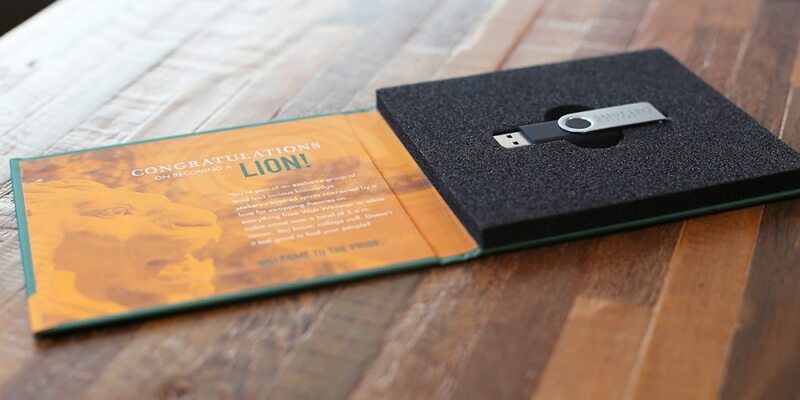 Create an eye-catching and engaging student enrollment campaign for a university that’s forward-thinking, yet founded in traditional values. 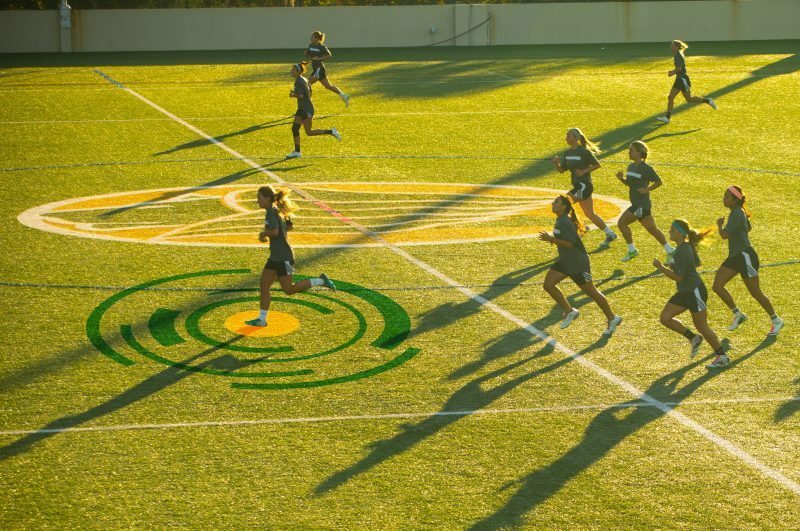 Avoid old-school, buttoned-up recruitment spiels of “academic excellence” and “rich scholastic traditions”. 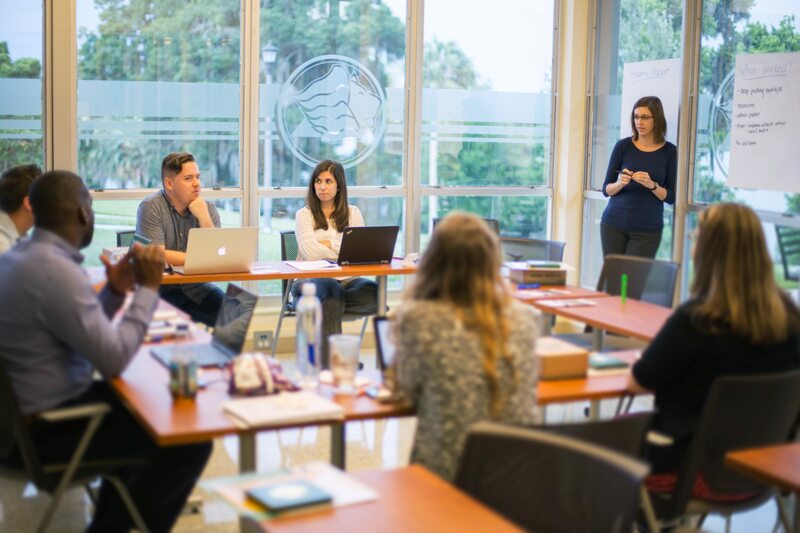 Use an immersive writing style to create a day-in-the-life feel that gives prospective students an authentic taste of the campus experience. Sprinkle in a solid measure of email audience segmentation for maximum-impact messaging. 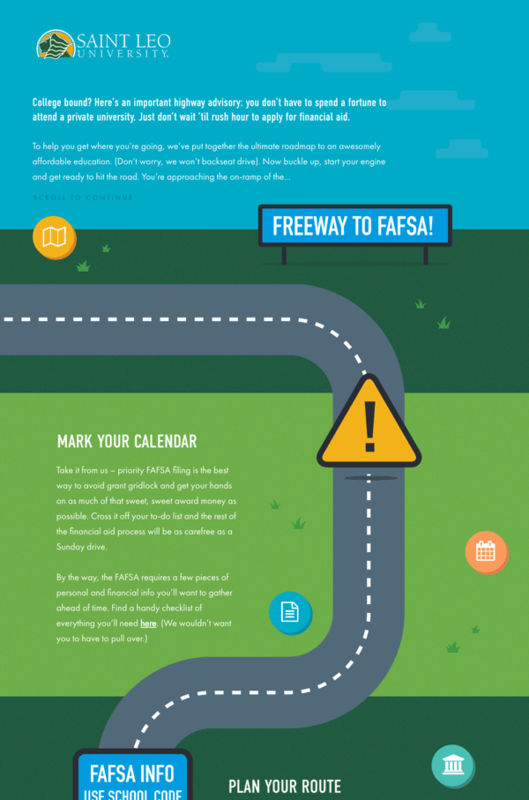 Not your granddaddy’s college recruitment. Recruitment emails are no good if nobody reads them. 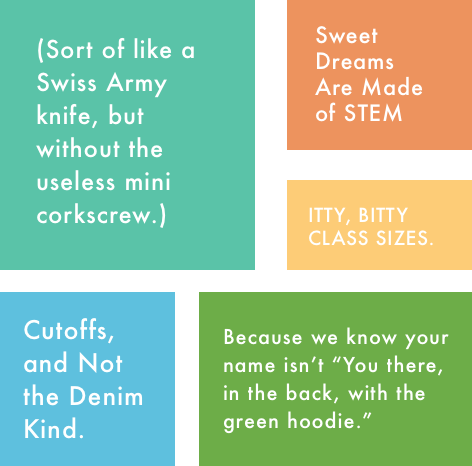 We kept our messaging down to earth by pairing a casual tone with a hearty smattering of modern pop culture references. Content that speaks volumes (sometimes without words). 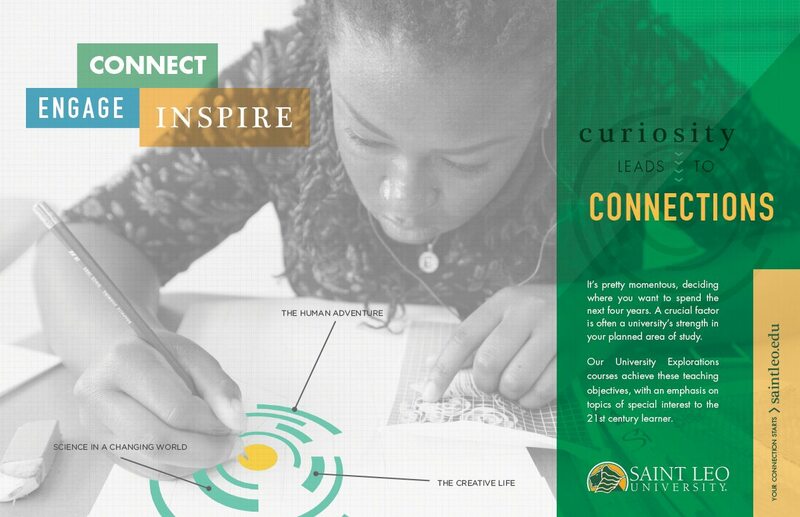 To symbolize the broad applicability of the liberal arts experience, we developed a radial graphic and applied it as a unifying design element throughout the campaign. 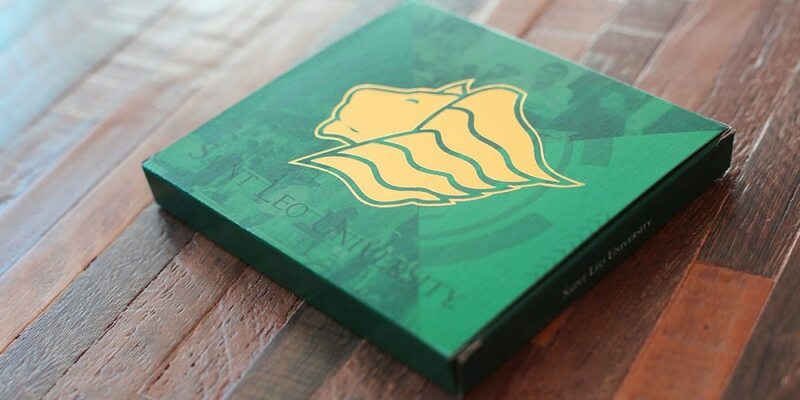 A revamped student admit package—complete with custom-designed USB packaging and mailer box—was guaranteed to get a roar of approval from newly-accepted Saint Leo Lions. Millennial attention spans? Not a problem. 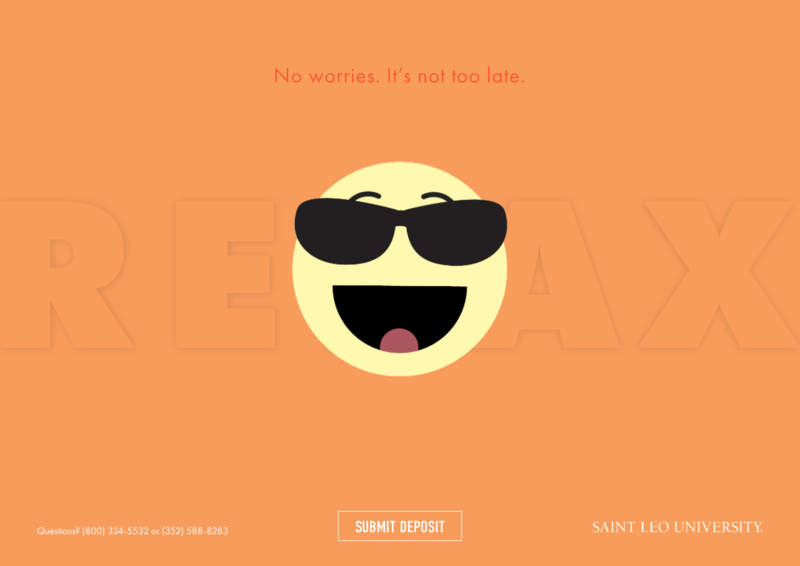 A pair of interactive animated landing pages offer a charismatic, attention-grabbing alternative to the dry directives college applicants often ignore. 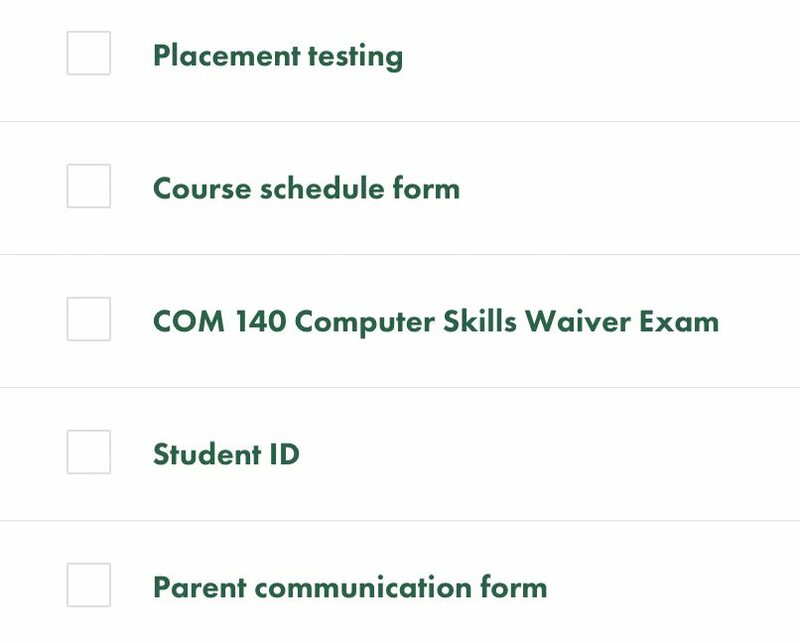 A sharp-looking microsite builds new student excitement and stops the admission process from stalling out by corralling must-know info, next steps and FAQs into one handy checklist. 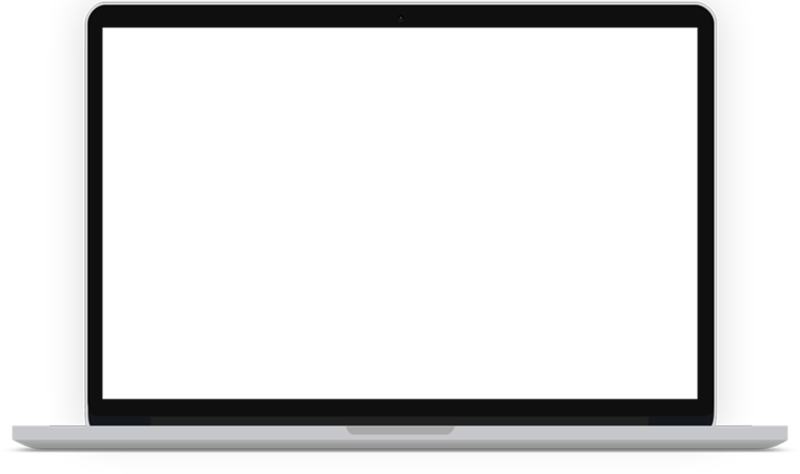 A website so good, we had to make it bigger. 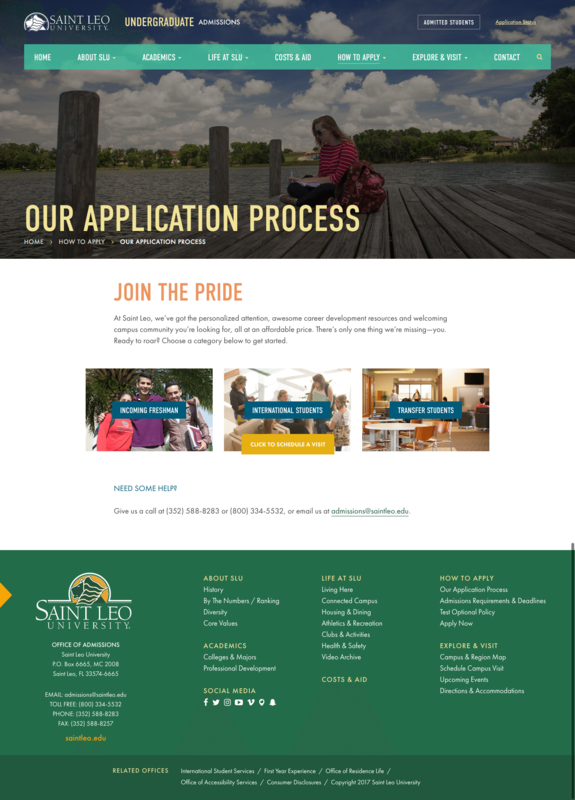 The admitted student checklist turned out to be such a hit that Saint Leo asked us to expand the platform into a microsite for undergraduate admissions. 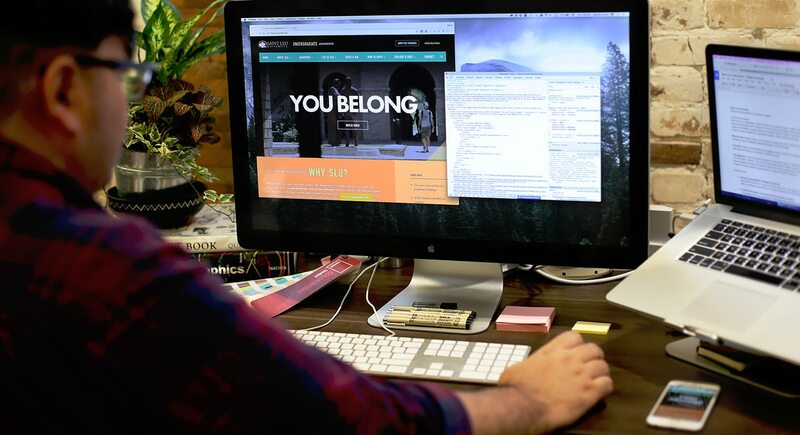 The new site delivers streamlined, audience-relevant content and bold, on-brand design. 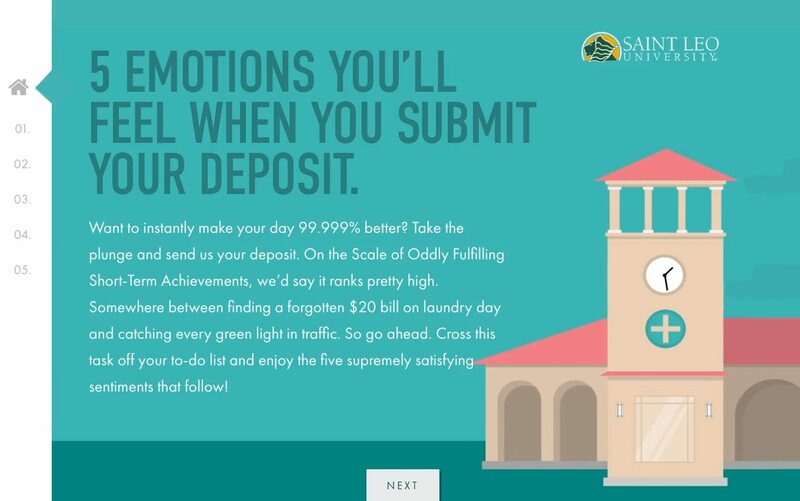 Since adopting the Echo Delta approach to Getting Noticed and Taking Names™, Saint Leo University has seen a significant spike in audience engagement. 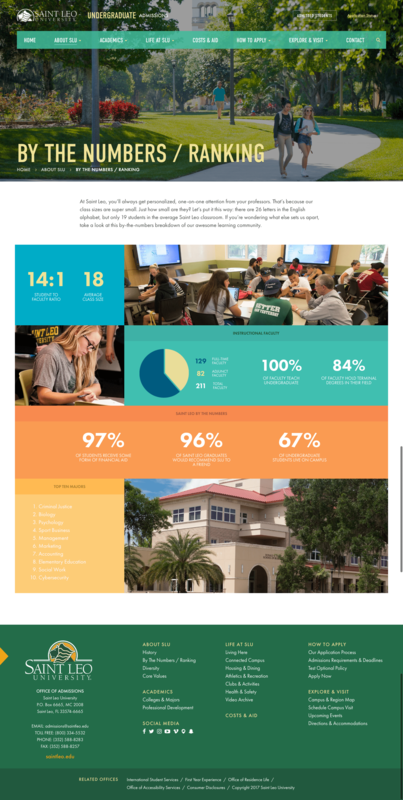 Prospective student inquiries saw a 37 percent increase from the previous recruitment cycle. Total applications are up by 15 percent, with completed applications jumping up by an impressive 24 percent. 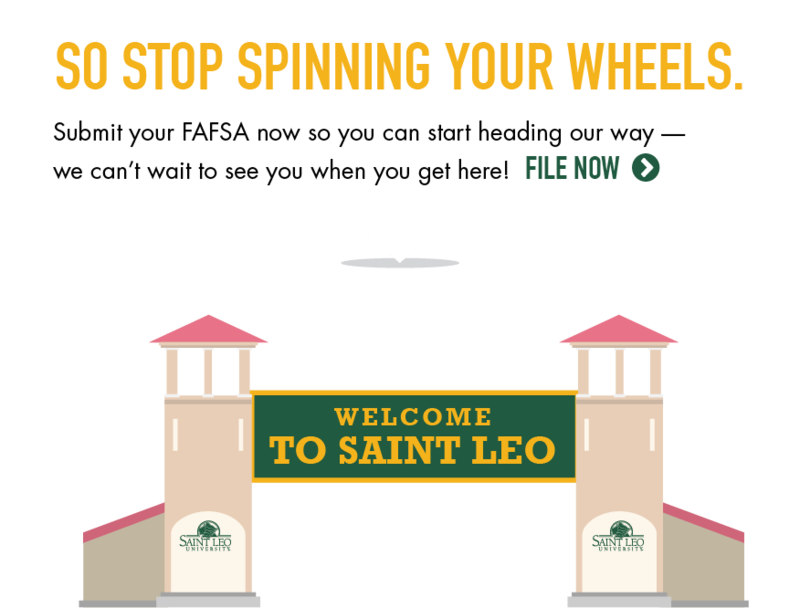 The Saint Leo University Admissions Package won a district Gold Addy and Best in Category at the 2016 American Advertising Awards. 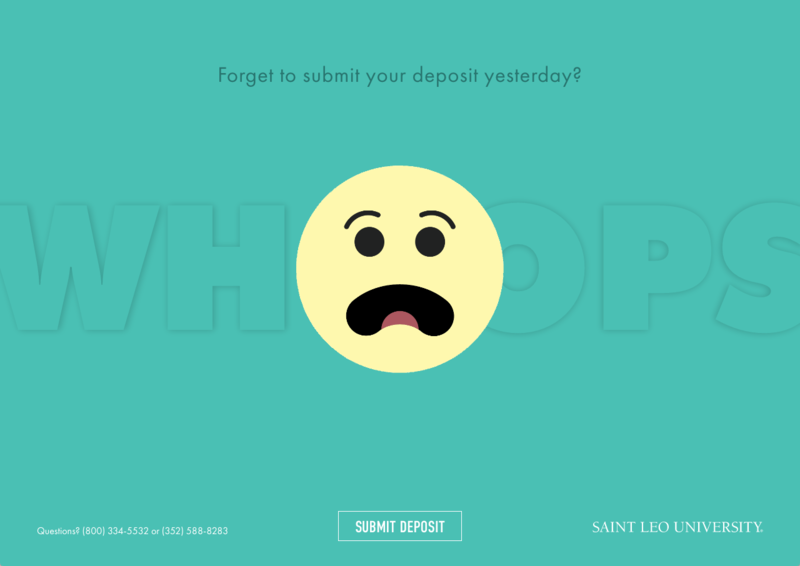 The Saint Leo University Email Series won a Silver Addy at the 2017 American Advertising Awards.